Three years ago, Calvin Koong (left) and Zhenglu Sun opened the city's first Taiwanese restaurant. Now they fear for its future. Koong and his co-owner, Zhenglu Sun, immigrated to St. Louis from Taiwan in the mid ‘90s. In September 2015, the duo opened (with Brian Hsia) a restaurant to bring the cuisine of their homeland to St. Louis, earning raves for their street food-style menu items. 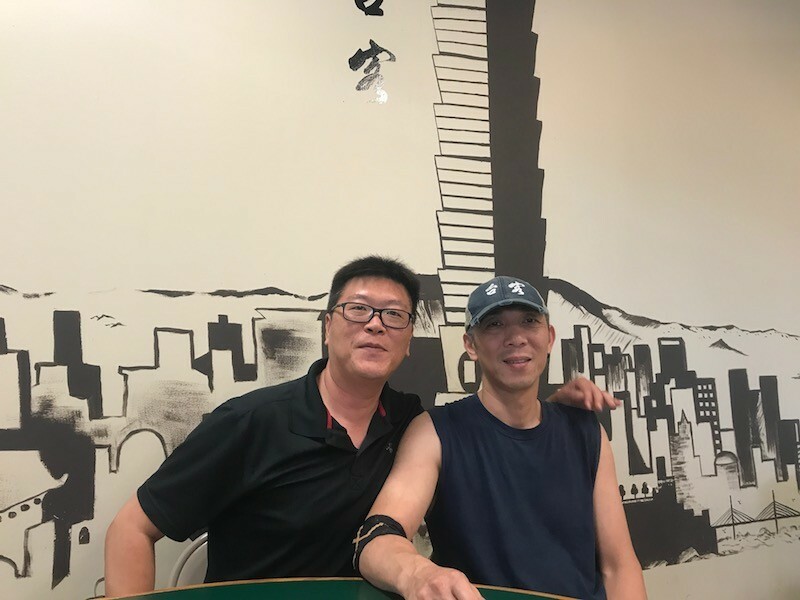 They’ve invested all they have into making Tai Ke a University City staple– from painting the intricate black city skyline on the interior wall to building clientele despite a relatively hidden location in an Olive Boulevard strip mall. That’s why the two were shocked and upset to learn about the $190 million, 50-acre project proposed by St. Louis-based Novus Development. The plan, subsidized by $70 million in tax increment financing, or TIF, would bring a Costco, hotel and apartments into an area known for its wealth of ethnic, particularly Asian, cuisine. Their restaurant sits squarely within the project’s footprint. Koong and Sun staunchly oppose the redevelopment. The strip of Olive on which they’re currently located, they explain via the translator, is the only “Chinatown” in St. Louis (ironically, one that Asian entrepreneurs moved to after officials razed the one in downtown St. Louis to put in a parking lot). If the plan goes through, they fear they’ll have nowhere else to do business. TIF plans enable a city to give local property and sales taxes back to the developer to subsidize the redevelopment of “blighted” areas. 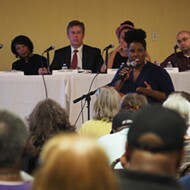 At the first two city hearings on the project, hosted May 23 and June 6, residents and business owners expressed mixed opinions on the plan. With the third– and possibly final– public hearing for the project scheduled for Friday evening, immigrant business owners in the project’s bounds are in some cases hostile to the plans, and in others, concerned and confused. It’s not just that they fear being driven out. It’s also that it all seems to be happening with very little direct communication from the city. A center of diversity and culture, University City hosts 983 minority-owned businesses. That’s more than five times as many as Clayton and eleven times that of Ladue, according to 2012 U.S. Census data. 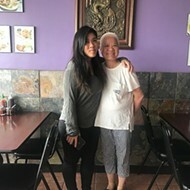 Thaun Kieu, the owner of family-run Vietnamese eatery Pho Long (8627 Olive Boulevard, University City; 314-997-1218), moved with her two children to St. Louis in the mid ‘90s. Initially, the family opened a jewelry store in University City, an area they chose for its diversity and centrality to the Asian community. 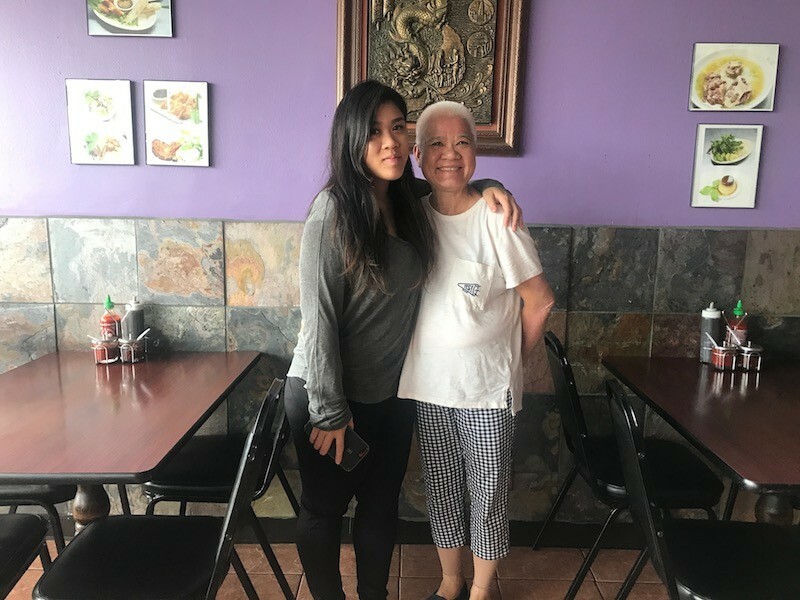 Three years later, in 2006, the family decided to lease another space nearby and open a pho restaurant. During those first six months of business, they wondered if they had made a mistake. Last fall, he remembers, rumors began to swirl among local business owners about potential changes in ownership and construction in the area. Tired of the rumbling, he went directly to city hall and provided his contact information, asking to be updated of any changes going forward. 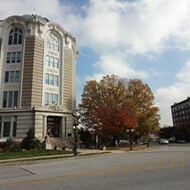 That winter, Novus purchased Jeffrey Plaza, the strip mall on Olive where the Pho Long is located. Since then, the family has continued to remain mostly in the dark. In fact, during the June 6 meeting, Kieu’s son recalls, one woman asked everyone who had received notification of the meeting directly from University City to raise their hands. He says in a sea of people, only one raised her hand. In a 5,000-word defense of the project, TIF Councilwoman Paulette Carr quotes resident Brian Burkett, who argues (based on numbers Pho Long provided at the last TIF commission meeting) that it would take more than 200 Pho Longs to equal the taxable revenue of Costco. Chef Christine Mukulu Sseremba, with sons George Knudsen and Majesty Mukulu, is worried about what a massive redevelopment project on Olive will mean for her business. Christine Mukulu Sseremba of Simba Ugandan Restaurant expresses many of the same concerns about University City’s lack of transparency. She and her sons came to the U.S. from Uganda in 2011. In 2015, they opened Olive Green International Cuisine in Jeffrey Plaza. This February, they moved their restaurant to a stand-alone building nearby, redecorated and rebranded as Simba. They’ve been thrilled with the volume of business. Yet even though they’re no longer in Jeffrey Plaza, their restaurant remains in the TIF’s footprint. And since they don’t own the building, just the business, they have little control over negotiations. Mukulu adds that the city did not contact them about the public hearings. He found out about the second public hearing by word of mouth only an hour before it started. Luckily, he was able to quickly prepare his thoughts. Documents available at the hearing promise the project will enable economic development on Olive, increased employment opportunities, educational funding, higher property values and a host of other benefits. But, like Mukulu, Kieu’s son remains skeptical. He notes a slew of maintenance and safety issues that have been neglected in the Third Ward for too long. For example, he mentions a tree that recently fell in his mother’s neighborhood and dilapidated roads that haven’t been touched in the more than 20 years since they’ve done business there. Sseremba and her family worry that stores like Costco will conflict with the existing small businesses in the area. Specifically, these big box stores could attract a different type of clientele than those who currently frequent the neighborhood. If so, Mukulu worries the culture and spirit of Olive, cultivated by its multitude of small businesses, may be traded for a more corporate form of commerce. Sseremba wonders if the money that would otherwise be used for the TIF might be better allocated to improve the appearance and condition of the businesses and amenities already existing in the city, perhaps to offer incentives to landlords to improve their properties. 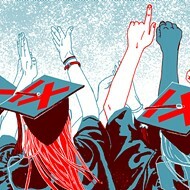 “I hope when all is said and done, University City will be University City, that it will have the uniqueness that it has, the welcoming spirit that welcomes diversity and will embrace it,” Sseremba says.